The Met and the museum community that it represents are obviously saying that responsibility for that unfortunate incident really lies with the Russian government, which did not see fit to settle the matter of Russia's debts (or lack thereof) to the infamous Noga company headed by Nessim Gaon, as it was not the first time the latter had tried to seize Russian property. Neither the Pushkin museum's choice of partner nor the Fondation Pierre Gianadda, which has been collaborating with various museum institutions from all over the world for 30 years, can be blamed for what happened. The opening of the exhibition was witnessed by numerous renowned artists, art historians, the museum community and the press. Representatives of the Met headed by its director Philippe de Montebello were also present. In his speech at the opening Monte-bello noted that the museum began its collaboration with the Swiss foundation in 1989 when Leonard Gianadda first asked the Met for assistance in the organization of the Gelman exhibition, titled "From Matisse to Picasso, the Jacques and Natasha Gelman Collection", and held at the Fondation Gianadda in 1994. From the very first moment of their collaboration the Met's officials were impressed by the foundation's conscientiousness and thoroughness in preparing that project. The Met and the Fondation Gianadda established a warm and trusting relationship. After that first exhibit at Martigny the Metropolitan Museum continued to lend works from its collection to exhibitions devoted to Edouard Manet and Suzanne Valadon (1996), Paul Gauguin (1998), Berthe Morisot (2002) and Paul Signac (2003). In 2004 the Metropolitan Museum and the Fondation Gianadda together organized an unprecedented show, held both in the US and Switzerland, featuring the rarest icons and relics from the Holy Monastery of St. Catherine on Mount Sinai in Egypt. Philippe de Montebello complimented Leonard Gianadda on the special talents that account for his success saying that his openness, reliability, timely reaction, perseverance and charm are impossible to resist. The Fondation Gianadda was established 30 years ago, and the Met's generous gift to the Swiss museum on its 30th birthday is quite impressive. Today the famous Metropolitan Museum - which opened in February 1872 with a collection of 174 European paintings - boasts more than 2,200 major works. 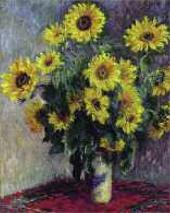 These include 37 by Monet, 21 by Cezanne, spectacular works by Tiepolo, unique Vermeer paintings and numerous other world-famous works of art. 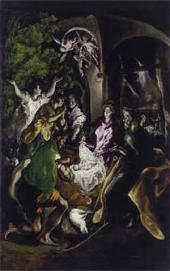 The paintings selected specifically for the Martigny exhibit are exquisite: EL Greco's "The Adoration of the Shepherds" (c. 1610), Anthony Van Dyke's "Self-portrait" (1621), Franz Hals' portrait of Claes Duyst van Voorhout, Rembrandt's "The Standard Bearer" (Floris Soop's portrait, 1654), Goya's "Pepito" (c.1813), Camille Corot's "A Woman Gathering Faggots at Ville-d'Avray', Gustav Klimt's rare portrait of Serena Pulitzer Lederer (1899) and many others. Russian lovers of French painting who visited the "Masterpieces of the Musee d'Orsay" exhibition at the Tretyakov Gallery and noticed the remarkable painting "Spring" by Jean-Francois Millet will be happy to know that another painting by this artist from his "The Four Seasons" cycle is now on display at Martigny. The landscape is called "Haystacks: Autumn" (c.1874) and depicts the Chailly plain. 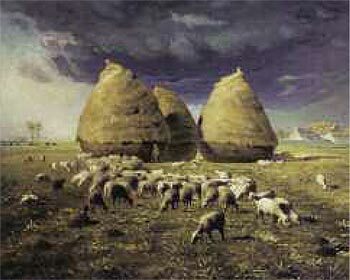 The centre of the painting is dominated by monumental haystacks: harvesting has ended, and the field is empty with sheep grazing peacefully and the roofs of Barbizon seen in the distance. Much as with "Spring" the artist depicts a stormy sky with superb skill. "Autumn" was displayed at the retrospective exhibition of Millet's works in Paris in 1887 where it was seen by Claude Monet who went on to paint his own "Haystacks" which went down in art history, and by Vincent Van Gogh who fell in love with the works of the great master and remained his avid fan for the rest of his life. 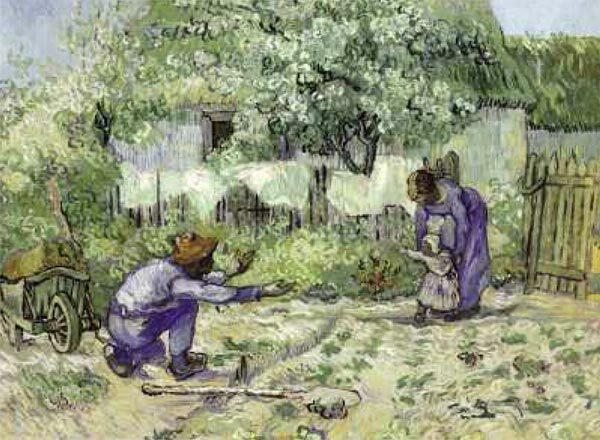 The exhibition at Martigny features Van Gogh's "The First Steps (After Millet)". 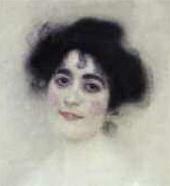 The artist often copied Millet's drawings. He wrote to his brother Theo: "Wouldn't it be wonderful to try and incarnate Millet's drawings...? How beautiful they are, especially his 'Baby's First Steps'" The artist often called his copies "improvisations" and "interpretations" comparing his own attempts to the art of a musician performing a piece written by a composer. "Such work based on his drawings or xylographs is not just copying. It's interpretation, a translation from one language to another, the language of colour, of light and shadow impressions conveyed in black and white images," Van Gogh explained. The artist painted "The First Steps" six months before his tragic death and sent it to his brother along with other copies of Millet's paintings. Theo wrote: "Millet's copies may just be the most beautiful work you've ever done..."
Many visitors would no doubt also be interested in seeing the legendary, rarely reproduced "Le Guitarrero" by Edouard Manet. Painted in 1860 when all things Spanish were at the peak of fashion in the Paris of the Second Empire. 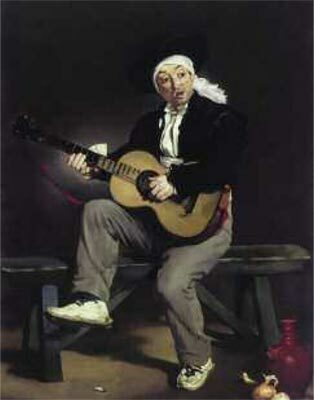 "The Spanish Singer" brought Manet his first success at the Salon exhibit of 1861. 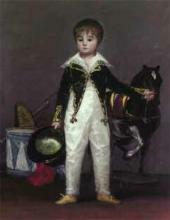 Naturally Manet did not create this painting from a desire to be fashionable but rather because it was a time when he was especially in awe of works by such great Spaniards as Velazquez and Goya. 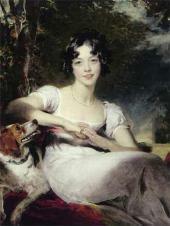 The painting was created in his studio, and the hat and bolero on the model can also be found in other works by Manet. The theatrical effect of the painting is further accentuated by the fact that the left-handed musician is holding the guitar in a right-hand position that means that he can't possibly play it. Notwithstanding the dramatics of this painting it made many artists want to meet its author, and soon Manet became an acknowledged authority for many young artists of the new school. "The Spanish Singer" was a gift to the Met from William Church Osborn (1949), while "The First Steps" by Van Gogh was donated by George N. and Helen M. Richard in 1964, and Millet's exquisite work was bequeathed by Lillian S. Timken in 1959. The collection of the Metropolitan Museum of Art has grown and continues to grow largely thanks to the generous gifts of various individuals. Most likely (much like the Tretyakov Gallery) the Met appreciates Leonard Gianadda's energy and business talents, his taste and noble character, explaining why it is happy to work with his foundation - one that has proved in the 30 years of its existence just how much an individual can do for his hometown and his country if he sets the noble goal of creating a museum, and achieves such goals notwithstanding any obstacles. Those who are familiar with the work style of the permanent head of the Fondation, Leonard Gianadda, will not be surprised by the fact that it was he who "got" this fabulous exhibition. Holbein created many of his finest works in his time there. 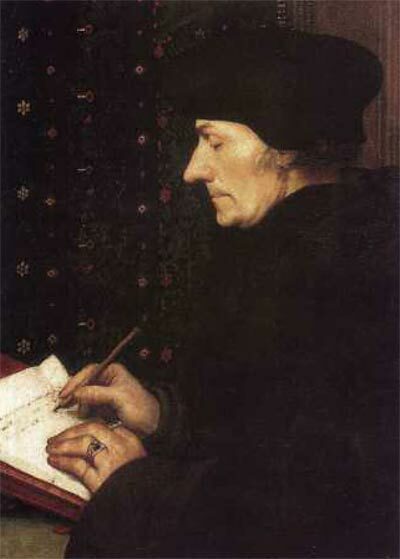 He illustrated books and designed some sketches for the author's private copy of the "Praise of Folly", commissioned by the publisher Froben, while in 1523 he accomplished a series of excellent portraits of its author, Erasmus of Rotterdam. He painted the house of Jacob Hertenstein, decorated the facade of the "Zum Tanz" (House of Dance) and participated in painting the town-hall of Basel. He also painted quite a few commissioned works; his portraits of eminent citizens brought him fame. 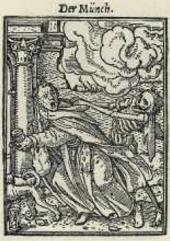 It was in Basel that Hans Holbein the Younger joined the corporation of painters. Holbein had various commissions from the Church, with his "Christ", painted in 1521-1522, the most affecting. Holbein painted Christ as a dead man who had gone through agony, humiliation, mockery and insult. Jesus' dead body, enfeebled by torture and put in a claustrophobic coffin, is presented in a realistic way; there is no hope or sign of divine presence in it that would spark a hope of forgiveness. It inspired Fyodor Dostoyevsky to note on behalf of one of his characters Prince Myshkin, "Some may even lose faith after looking at this painting". 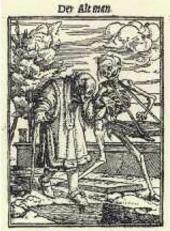 Images of death were haunting Holbein's imagination at that period; a series of miniature woodcuts on the subject "Dan-ces of the Death" created in 1 523-1 526 serve as another example. However, the advent of the Reformation in Basel and the prohibition of holy images that it brought about prompted the painter to move temporarily to England around 1526. 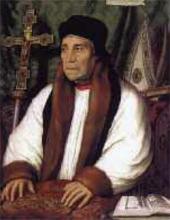 He came to London with a letter of introduction from Erasmus of Rotterdam and was warmly welcomed by Thomas More and his family. 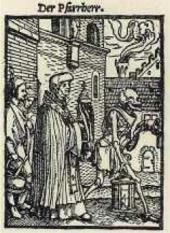 Holbein returned to Basel in 1528 where a lot of changes had taken place. However, having no commissions, the painter was forced to settle down in England in 1532. The changes that the country was undergoing affected Holbein: More, the Chancellor of England from 1529, was brought down and executed. From then onwards, the painter's major commissioners were German merchants; he painted many portraits which achieved exceptional success. In 1538, Holbein was appointed court painter to Henry VIII. 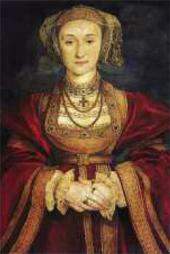 He accomplished some of the finest portraits of the English King and his two wives, Anne of Cleves and Jane Seymour. 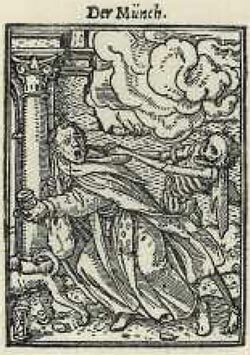 Holbein died in London in 1 543 during a plague epidemic. The English period of Holbein's life will be covered by an exhibition presented at Tate Britain in London from September 28 to January 7 2007, while the exhibition in Basel was built around the Kunstmuseum's rich collection devoted to Holbein and his family. The show focused on his works created from 1515 to 1 532, and also presented works by his brother Ambrosius and his father, Hans Holbein the Elder, who taught painting to his talented sons. 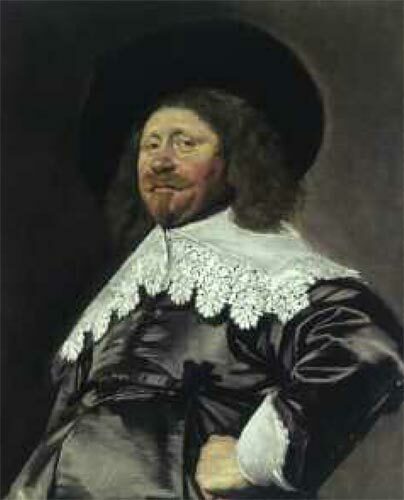 Works from various European and overseas museums complemented the Swiss collection. 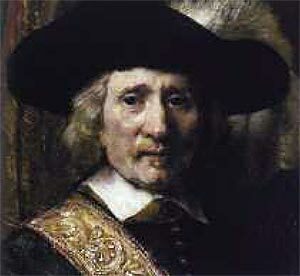 The exhibition provided a unique opportunity to see, compare and appraise the works of a great master, an outstanding portrait painter possessing an impressive vision and a refined brushstroke - the last representative of the German Renaissance.